This Golden home was built in 2014 with 4 bedrooms 3 baths and a total of 2420 sq ft. This updated home boasts wood floors on the main level, updated kitchen with stainless appliances and walk in pantry. 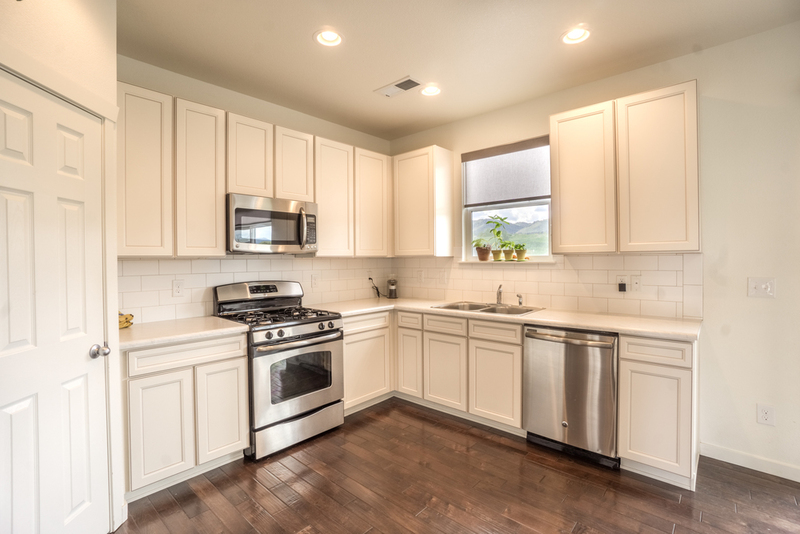 The kitchen opens to a cozy living area with large windows overlooking the back yard, green belt and mountains. The master suite has stunning mountain views with tub and shower and large walk in closet. The upstairs also has a loft with 3 more bedrooms and another full bath, and boasts mountain views from every window in the home. Don't forget to check out the extra storage space in the large crawl space accessed through the garage. This light and bright home is literally walking distance to North Table Mountain, with mountain biking and running trails in every direction. This beautiful home also backs to greenbelt area with amazing mountain views of the foothills and North Table Mountain. Sit on the front porch and watch the horses play Table Mountain Ranch, or chill on the back patio and watch the sunset over the foothills. This home is only 4 miles to downtown Golden with its trails, restaurants, breweries, shopping, clear creek recreation and much more. Need more things to explore? Check out White Ranch Open Space 2 miles away, or drive 20 minutes North to Boulder. If you want the feel of open country, but need proximity to amenities, it does not get any better than this home.